Print long-lasting and professional-looking, glossy photos at your convenience with Claria Photo HD Inks. 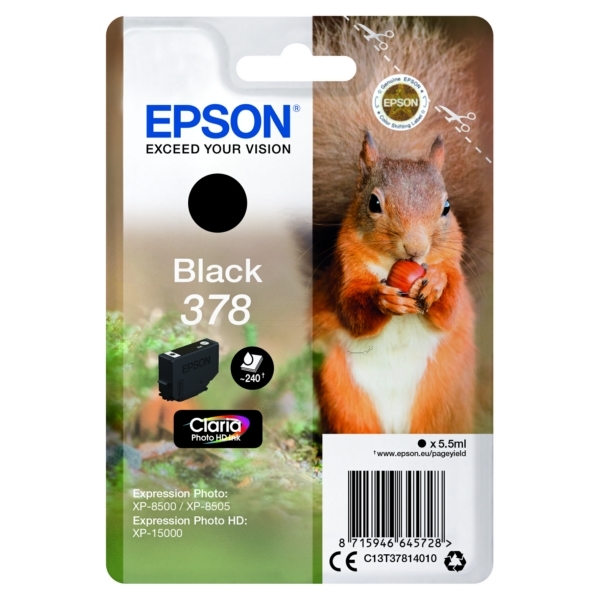 Both photography enthusiasts and semi-professionals are sure to appreciate the enhanced level of quality produced by its 6-colour inks. It delivers detailed images and realistic skin tones with smooth tonal gradations and deeper, more natural blacks. Designed with longevity in mind, the high-quality ink can last for 300 years in a photo album1.